My parents were married on September 18th, 1947. When my mother was expecting her first child she made a baptismal gown from fabric of her wedding dress. My eldest sister, Joanna, was dressed in it when she was baptized in 1948, as were the following five children, I being the last in 1958. At some point our family lost track of the gown. It was hanging in the closet of someone belonging to our tribe, but it was forgotten. My mother sewed six baptismal gowns for each of her children when they were expecting their first baby, and many of the grandchildren were dressed in these gowns for their baptisms. Recently, the original gown showed up! Yesterday it was used again for the first time since my baptism 58 years ago. Isaiah Smith, my great-nephew, grandson of Joanna, my eldest sister, and the newest baby of our tribe, was baptized wearing the gown. 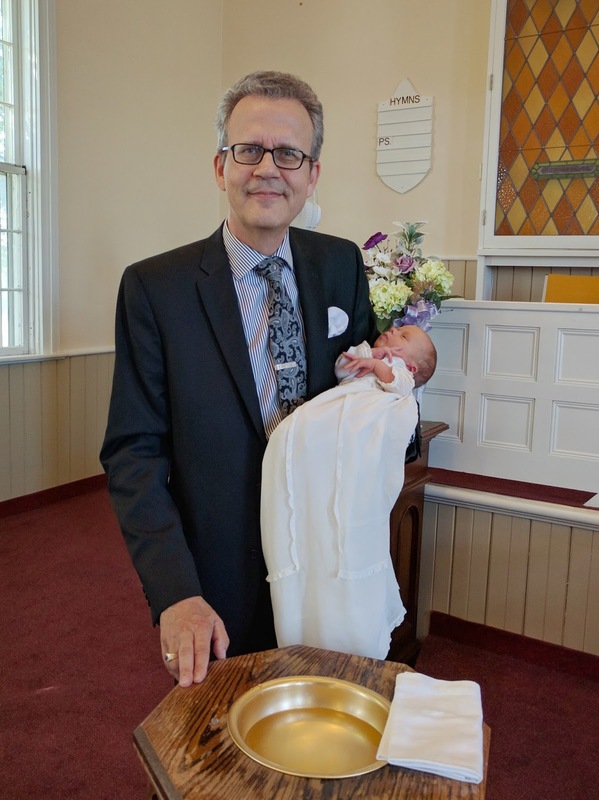 As his parents belong to my congregation, I had the honour of administering the baptism. Of course, the most important thing was that the sign and seal of God's covenant promises were confirmed to Isaiah, but that he was wearing the gown that I had worn, that his grandmother had worn, and that his great-grandmother, my mother, had fashioned from her wedding dress, added a special element to it all.